We are one of the prominent manufacturer and exporters of a stylish range of Varsity Jackets & Apparel Accessories such as Embroidered Patches, Chenille Patches and other Fashion Garments. We are one of the leading and well recognized manufacturers and exporters of Garments in the Fashion Industry covering overall USA, U.K, Australia and Canada. Our garments are of precise design, developed with quality raw materials in various colours, style and trends. These garments are skin friendly and available at affordable prices with long life and good quality. 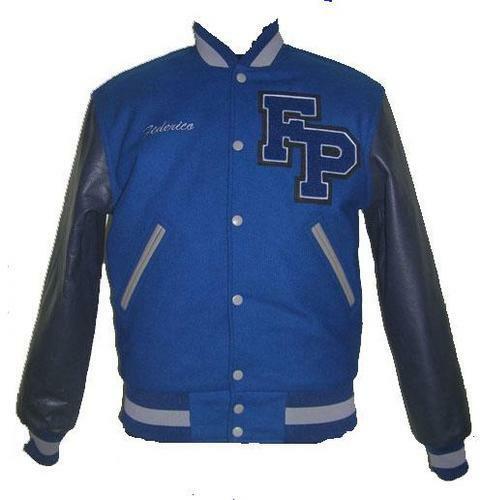 Our wide range of garments includes Varsity Jackets, Embroidered Patches, Chenille Patches and so on. We Entertain Export Enquiries.